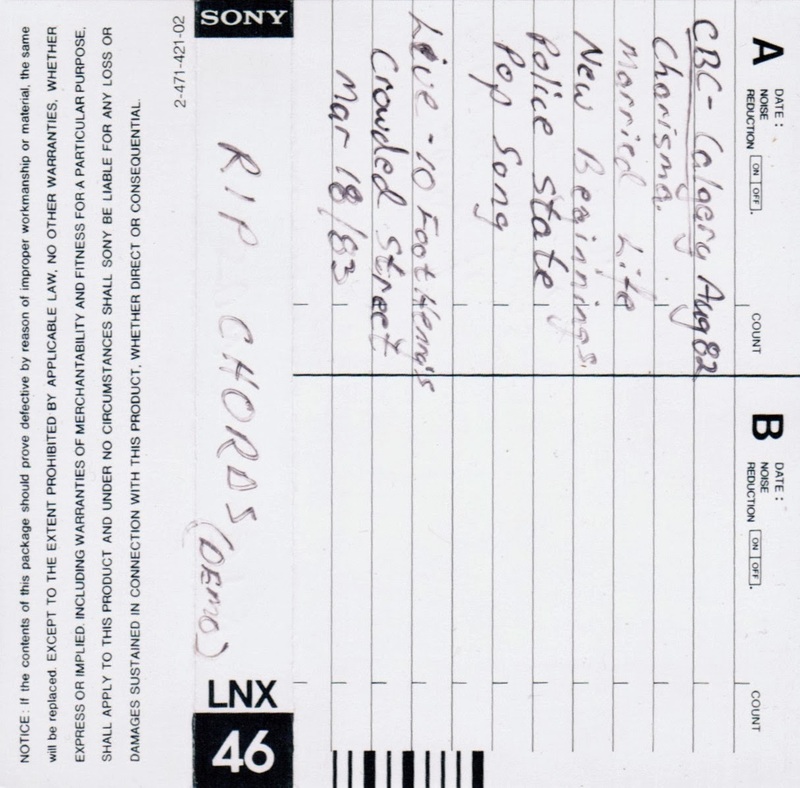 One of the things that never ceases to amaze us is the quantity of recordings from the Rip Chords. Just when you think you've heard it all, another one pops up. This six-song demo was in that batch of tapes from the late, great James Muretich. A couple of songs show up on the Gone Forever Gone compilations that Peter Moller put together, but a bunch are - in the CCPS collection at least - new to us. My printing on this. We recorded this at Ten Foot Henry's with some borrowed equipment from...Fraser?